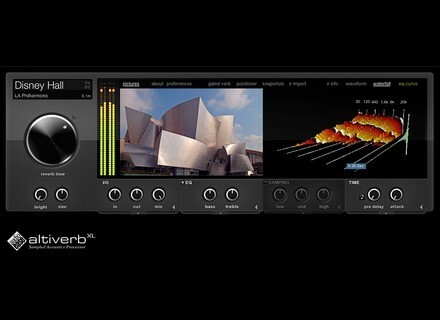 The Altiverb v7.2 update adds AAX 64-bit plug-in format for Pro Tools 10 and 11 (32-bit also) as well as the VST 64-bit version for Windows. Audio Ease also fixed some bugs in this version. Altiverb is available in two versions: Regular for 499€ and XL for 849€. The plug-in requires and iLok USB dongle. Upgrades are also available, visit www.audioease.com for further info. SoundToys MicroShift Review Almost a year after releasing the free Little MicroShift, SoundToys has finally introduced its bigger sibling, a plug-in designed to add space and depth to a wide variety of sources. MicroShift is also the first SoundToys plug-in that offers authorization options beyond iLok. Hornberg Research hb1 MIDI Breath Station Hornberg Research, a young german company, debuts with a new high-end MIDI breath controller, called hb1 MIDI Breath Station.